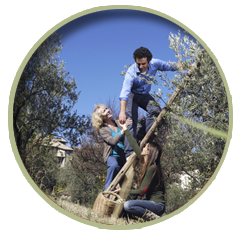 The olive tree and its fruit have been “living” in the Mediterranean region for thousands of years and are a precious gift of nature, a living heritage, which is connected in many areas with our lives. Olive oil nourishes, sustains, protects, tones, heals, inspires. The olive tree is inextricably linked to our history. Its contribution to the development of our economy and culture in general has been great. It was considered a sacred tree and a symbol of worship for the ancient Greeks and Christianity. In ancient Greece, the olive tree symbolized the Olympic ideals, Peace, Wisdom and Victory. That is why the award given to the Olympians was a wreath woven from an olive branch. 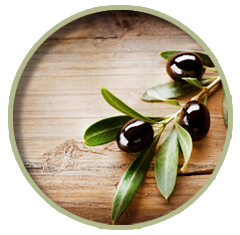 In addition to this, the olive was the sacred tree of the city of Athens. According to mythology, goddess Athena gave the olive tree, the symbol of fertility, as a gift to the Athenians, to win their support in the competition with god Poseidon on whose name would be given to the town. In several areas of the Mediterranean you can find the custom of people pouring oil on the ground, in order to have a good harvest or, respectively, as a way of giving thanks for the good harvest they had. Also, in many parts of Greece it is customary to plant an olive tree, each time a child is born. The olive and the child grow together. In six years, when the child starts school, the olive tree will begin to bear fruit. The tree will grow alongside the family, it will survive and it will be there many generations later, to commemorate the continuation and evolution of life. The oil has beneficial properties for the human body, which help reduce the appearance of modern diseases caused by poor diet and stress. Especially extra virgin olive oil is rich in antioxidants, which act as shields protecting the body from various diseases. 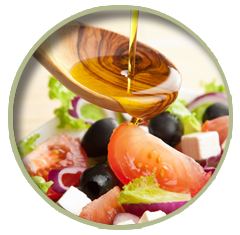 Adopting the Mediterranean diet, in which olive oil holds a primary place, reduces the risk of various diseases. The Mediterranean diet is based on the respect of the soil and biodiversity, the preservation and development of traditional activities and occupations related to agriculture and fishery in the Mediterranean, particularly in the way food is consumed. Today, thanks to its beneficial properties, olive oil is increasingly gaining ground in international markets outside the borders of Mediterranean countries.